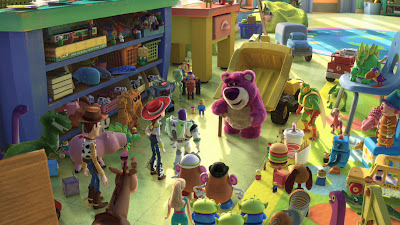 It's fairly easy to say that I am tickled by this "Toy Story 3" trailer. 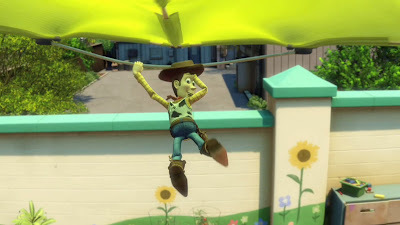 There's not a Pixar film I haven't loved and the Toy Story films really do hold a special place in my heart. More so than me, are the millions of 20 something's that grew up with Woody and Buzz and the rest of the Toy Story toys. There's no doubt that all of us are beyond excited to finally see the third film in the series. The trailer proves that the wait was worth it and that Walt Disney and Pixar didn't just give us any old sequel. 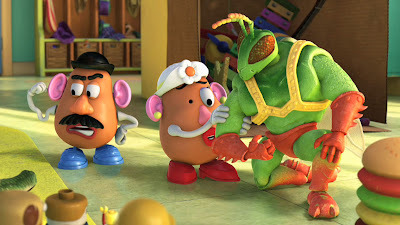 "Toy Story 3" releases June 18th. 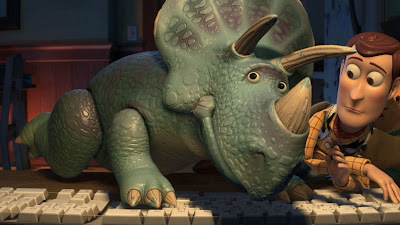 am i cynical for not being impressed by anything i've seen from TOY STORY 3? it seems too easy. i'm a little worried we might be seeing too much of andy in this one.